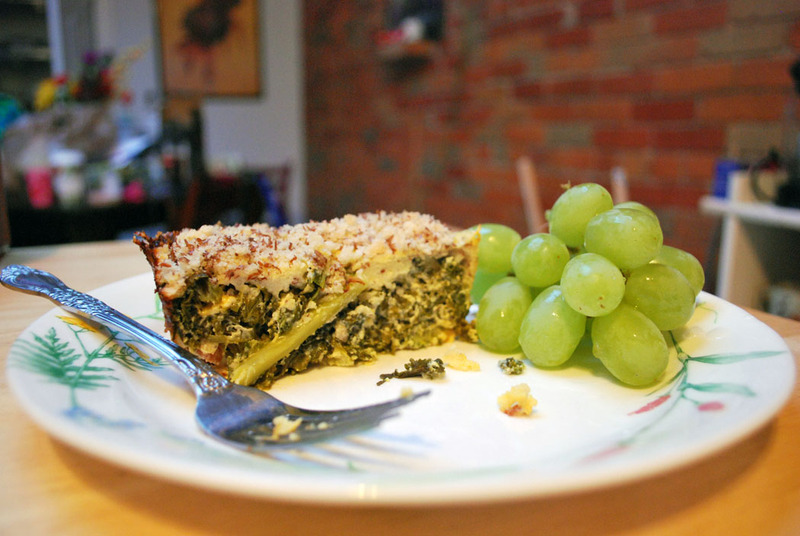 While the particular bit of kale that I made this recipe with was actually bought at the supermarket, this is the first of the Farmer’s Market Foods posts. Kale and I got to know each other when I first was introduced to the idea of green smoothies. Largely this was because this leafy green is incredibly healthy, not too bitter and reasonably priced at the supermarket or farmer’s market. One day I realized that I had bought some kale and *gasp* forgotten it in the veggie drawer. Not wanting to waste this greenery and being short on time the kale & egg bake was born. 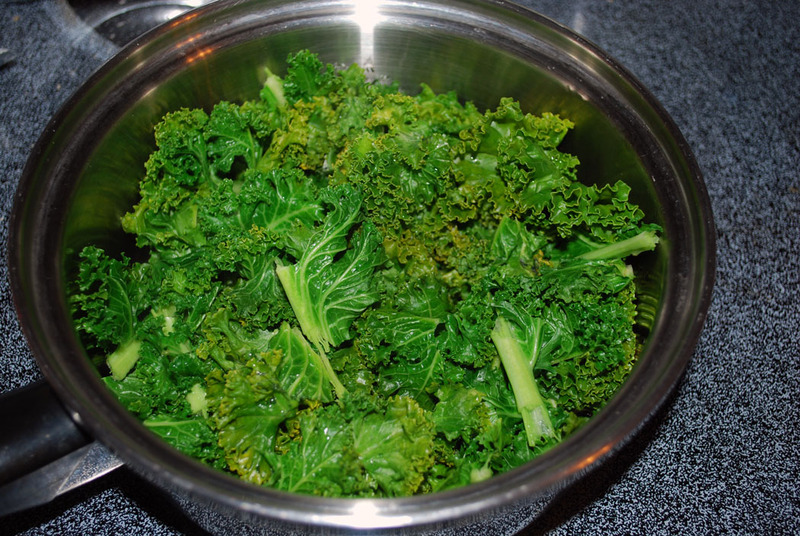 Steam your kale until it is a nice dark green and cook your bacon. 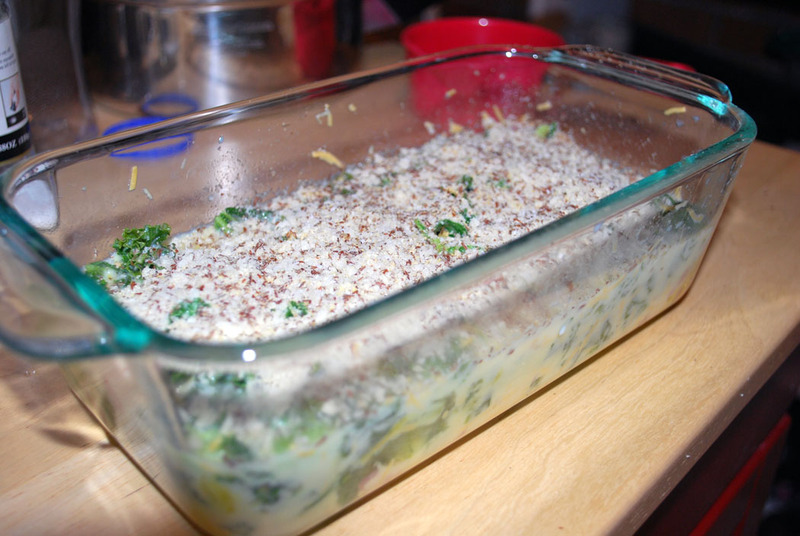 Pour kale straight into a baking dish. I chose to use a loaf pan. Shred your bacon and add it to the kale along with the cheddar, milk and eggs. Mix well and smooth top. 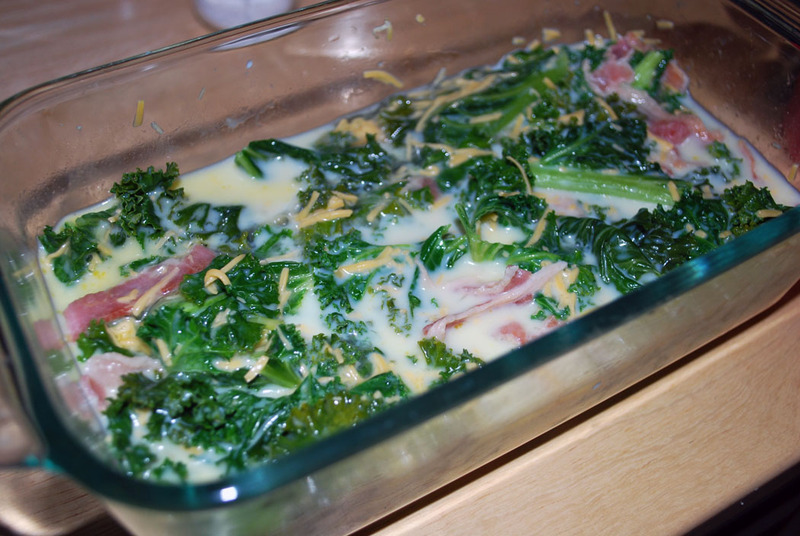 Make sure that your egg and milk mixture is enough to be at least partially covering all of the kale. Mix together flaxseed and panko. Pour them over the top and smooth. Bake at 375 degrees for about an hour or until browned. 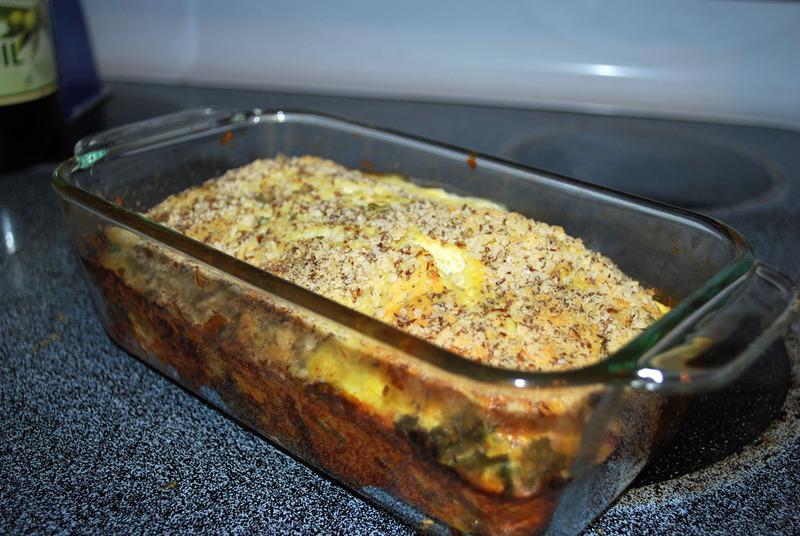 Makes approximately 4 servings at 268 calories a serving.